There were many reasons to celebrate this past Fourth of July weekend. 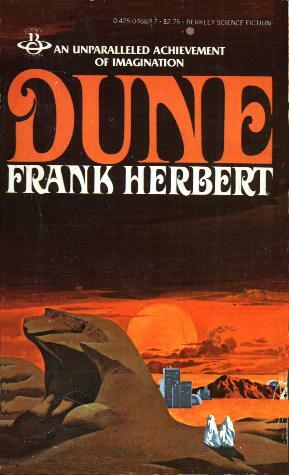 One that caught me by surprise was the 50th anniversary of the publication of Frank Herbert’s DUNE. I first read DUNE in high school. While I often sing praises of Tolkien and Martin, if I’m to be honest with myself I’d have to say Herbert was perhaps the single most influential author in my long journey toward writing speculative fiction. Herbert’s story brought together two major elements that excited my imagination at the time: a medieval-style feudal society coupled with the advanced technology of interstellar travel. There was also love, war, family, betrayal, and bloodshed. Strategic manipulation of deep spiritual desires. Space ships and giant sand worms, and a knock-out drug, spice melange, that facilitated interplanetary travel while turning your eyes blue. Women were not only important part of history, they dared to challenge the men at controlling it. Herbert’s novel absorbed me in a way that no other had before and that few have done since. My favorite character of Dune, as you might guess, was Jessica, wife to Leto Atreides and mother to Paul. I wasn’t aware of it at the time, but Jessica was unusual in the then male-dominated milieu of science fiction literature. Few authors had granted women the kind of agency and power Jessica would exercise over the realization of her son’s fate. Jessica was an initiate of a powerful sisterhood called the Bene Gesserit, who wove their own schemes inside a decidedly patriarchal galactic order. The Bene Gesserit had plans for Jessica and her offspring as part of their eugenics-inspired effort to breed a savior who could topple the evil galactic emperor. Jessica defied these plans by giving Leto a son, but she also came to believe Paul could be the savior the Bene Gesserit had been waiting for. Thus began her long journey at Paul’s side to see that prophecy fulfilled. 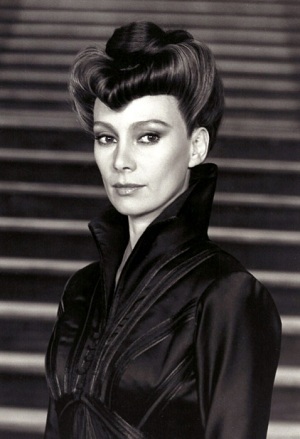 Lady Jessica, interpreted by actress Francesca Annis in the 1984 film DUNE. It’s safe to say that the Bene Gesserit were the earliest inspiration for the Magas of Eolyn’s world, though the Magas are not nearly as well organized or entrenched in their loyalties. A maga, while she loves and serves her sisters, is essentially a free spirit and will always be respected as such. The Bene Gesserit, on the other hand, keep their members under very tight rein. That being said, there are echoes of Jessica’s story in the journey of Eolyn and her predecessor, Briana of East Selen. Both Eolyn and Briana love a king who their sisters insist should not be loved. Both struggle with the decision to give that king a son. Both in their own way defy the teachings of their sisters and pay a heavy price to see their own dreams fulfilled. Of course, the context in which Eolyn and Briana make their choices is very different from the circumstances faced by Jessica. Partly as a result of this, their motivations are also worlds apart. (Pun intended.) But if we were to throw Eolyn and Briana into the world of DUNE, I have no doubt they would both become Bene Gesserits. And if Jessica had been born in the Kingdom of Moisehén, she would almost certainly have been a Maga. I’m curious to know whether there are other fans of DUNE among my followers. If you read and loved Herbert’s epic tale, what about the novel resonated with you? And for my writerly friends: Do you think Herbert’s world has had any influence on your own stories? If yes, tell me more. I love the mantra. I’d forgotten all about it. I haven’t read Dune since the late seventies. It was a big influence on my reading, and my earliest writing. Hi Terri! I would have guessed you were a Dune acolyte. I’ve read the book a few times, starting in high school (early eighties). I’m thinking it might be time to pick it up again.